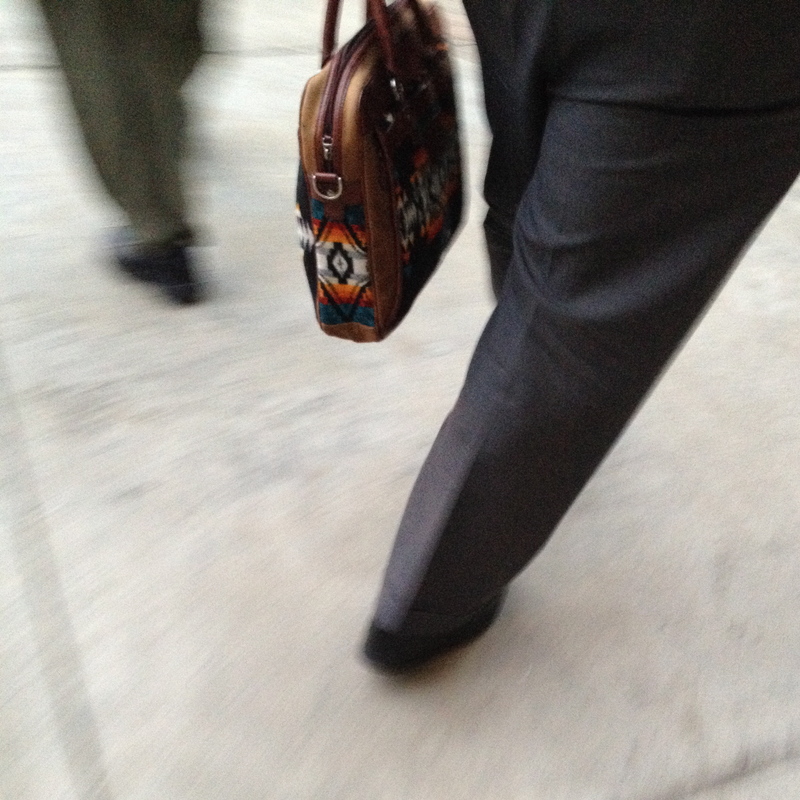 I quickly snapped this photo a few weeks ago when I saw this man’s briefcase. Swoon. I remember it was a particularly dreary day and there must have been a conference or meeting of some sort because as I walked home from work I got stuck behind a group of men in typical (rather boring) business suits. Nothing special. They all had the same style and all carried similar briefcases (plain black or brown, traditional, remember we’re talking drab old style)… except for this one man. With his beautifully different, printed, colorful briefcase. Just one fish swimming against the tide.